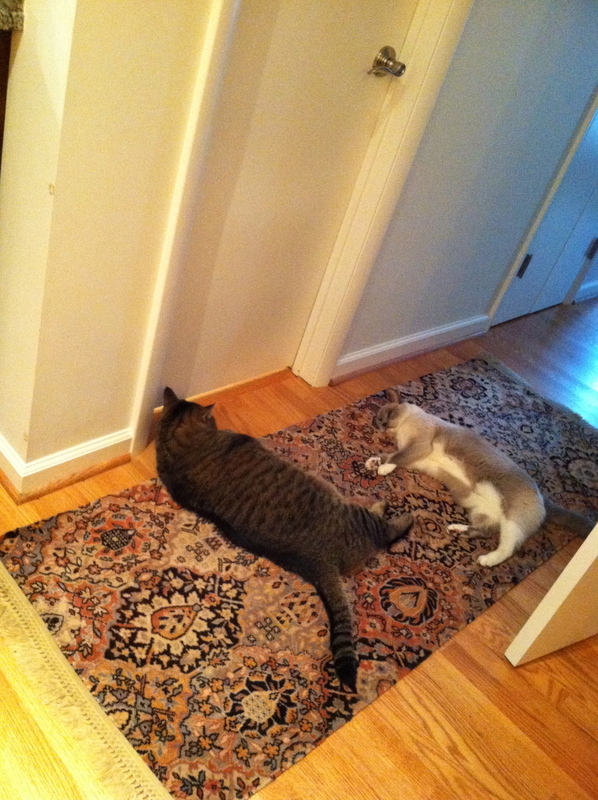 Like furry toddlers, our cats seem to be attracted to closed doors. Especially closed bathroom doors. There is an occasional paw under the door and quiet “mew” but mostly, they just wait… patiently.